August 2012 marks the tenth anniversary of the first competitive fixture played at Leicester City’s new home, The King Power Stadium. We’ve seen ups, downs, drunken fans attacking goalkeepers, Newcastle players knocked unconscious from a sharp free-kick, wordly strikes from Nalis to Gudjonsson and a 12-month-cameo by a super Swede. But here are the 10 picks for Leicester’s greatest match at our new home. The first on the list is an oddity of sorts. A win under Ian Holloway in the dreaded 2007/08 season and on top of that DJ Campbell found himself on the scoresheet for the Foxes. It may not be the Foxes’ fan’s favourite win over the six-fingered faithful from Norwich but at the time, it was quite a scalp. 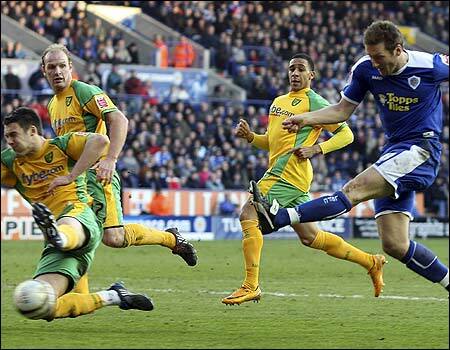 Norwich had been on a 13-game-unbeaten run and Leicester were staring a relegation scrap straight in the face. The game also sparked violence from the Norwich fans in the city centre which led to Leicester fans being unjustly and nonsensically labelled ‘high risk’ for 2012’s FA Cup fixture. Cue David Nugent. Trounced… High-risk Howard punishes the canaries. What a difference a chairman makes! Number 9 on the list is Leicester’s first game under sneaky Serb, Milan Mandaric and it was a fruitful affair indeed. The Foxes kicked off Mandaric’s manager-chopping reign with a dominant win over M69 rivals, Coventry City. One the Hinckley-dwelling Foxes will savour for years to come. It was inevitable really, the 8th best game on Filbert Way was the classic FA Cup replay of January 2012. In truth, Leicester dismissed Forest with ease. In some respects, the scoreline was flattering to the away side who couldn’t even hit the back of the net from 3 yards with an open goal. It says it all that hat-trick hero, Jermaine Beckford scored 3 times despite suffering from a cold. I’m starting to think, that Alan Birchenall could have taken to the pitch and scored himself. However, if there is one downside; this game seemed to be the turning point that saved Forest from relegation. Rout… But it’s okay. Forest only hate Derby, remember? Number 7 on the countdown is the 90 minutes that confirmed a controversial promotion for the Foxes. Having suffered relegation at Filbert Street 12 months earlier, Leicester bounced back to the big time at the first attempt after beating the Seagulls two-nil. Of course as Neil Warnock would have it, Leicester’s remarkable 92 point tally was condemned as ‘farcical’ due to financial issues. News flash, Neil – If the Foxes had had a 10 point deduction, they would have still finished in an automatic promotion spot. They say history never repeats itself and that was proven to be false in October 2011 as the 1994 classic ‘Silence of the Rams’ churned out a thrilling sequel at the King Power Stadium. The Foxes and the Rams had had unexpected starts to the season; Promotion favourites, Leicester had found themselves in the bottom half whilst Derby were leading an unlikely play-off charge. However, a convincing 4 goal winning margin in the East Midlands derby brought the feel good factor back to Leicester and left a handful of travelling sheep slunking back to Derby with nothing but a spanking. Baaaaaad luck… Vassell sends the home crowd in to raptures. The only draw to make the countdown is the FA Cup third round clash against Man City. To fit the old cliché, it was a classic cup tie; two sets of passionate fans, two big spenders and a fascinating teacher vs. pupil battle in the dugout between Leicester’s Sven-Goran Eriksson and Man City’s Roberto Mancini. However, Leicester not only took the game to the Premier League club, they were unlucky to only get a replay. Bamba bundled the ball across the line in the first 50 seconds before Leicester let their lead slip. Andy King found the equaliser in the 64th minute with the search for the winner continuing in to the last minute. Even former fox, Mancini revealed he was ‘relieved’ to escape with a draw. The Gary Lineker derby as it was affectionately dubbed on the day is perhaps one of the most infamous victories of Leicester’s recent history. Having been two-nil down by the 41st minute, The Foxes who were 21st in the Championship at the time embarked on a remarkable second half comeback led by the Elvis Hammond and Steven Hughes. The Foxes were back in it by the hour mark, leaving Mark ‘donkey’ de Vries to score the 90th minute winner and dump Premier League Spurs out of the cup. The first ‘El Clasico me duck’ thrashing came in February 2010. Both Leicester and Forest were locked in a battle for promotion and having been on the receiving end of a 5-1 defeat at the City Ground, it was time for the Foxes to get some revenge. The two East Midlands’ giants played out a dull hour with no real chances before a fifteen minute deforestation would get the Walkers rocking. A goal each from Bruno Berner and Andy King and a memorable free kick from Paul Gallagher ensured 3 points as the Foxes sank their teeth in to their bitter rivals, knocking them out of the top two. It was the battle of the big clubs in April 2009 as the Foxes edged closer and closer towards a remarkable turn in fortunes. Following years of decline, the Foxes were finally back on the up after a dramatic last minute header spread vibes of delirium around the Walkers Stadium. In truth, the game was a rugged affair and to fit the old cliché; a tremendous advert for England’s third tier. But it was Leicester who stood tall as Howard headed Gradel’s corner in to the back of the net, writing off the 2008/09 season as Leicester’s one and ONLY third tier tour. The greatest game to ever unfold before our eyes at the King Power Stadium is the famous four-nil drubbing of Leeds United. The victory seen by millions on Sky Sports’ Monday Night Football captured all the best Leicester’s most recent Premier League team had to offer. From the first whistle, the Foxes were on the hunt and the scoreline was one the home side had earned. Complete with four tremendous goals, in particular, a jaw-dropping 30-yard volley from Lilian Nalis, Leicester saw off a Leeds United team that had graced Europe just one season before. The victory was celebrated by fans alike including Chris Moyles’ breakfast show colleagues who concocted a jingle mocking Leeds’ (Moyles’ team) defeat to City. The win was the first of only five Premier League wins that season but boy was it a sweet one. Rankings based on the votes by members of the FoxesTalk forum. Missing out on promotion. Slacking in important games. Giving up..
Easy one. 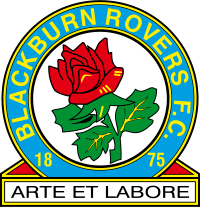 Ask any Rovers fan – DOUBLE OVER BURNLEY! 7. Who will be this season’s ‘dark horses’? 8. Where will you finish? top-flight return by the Trotters. To go back up at first time of asking! To have a poor home form and injuries like last season. A left back and back up goalkeeper. Unlucky… The Bluebirds are serial play-off chokers. Failing dramatically despite the investment. Unpopular… ‘Dirty Leeds’ and ‘Colin Wanker’ may be a match made in Hell. Modest… Favourites Leicester are staying much more grounded this time around. Promotion, pure and simple. After so many seasons of saying “this is our year”, just once it would be nice to have it finally come true. Another season of mid-table mediocrity. We’ve had so little to celebrate over the past few seasons, just something would be nice. Our strength in depth. In positions such as central defence, on the wing and even in goal we do not have decent back up. If anything is to be our downfall this season, I fear it may be injuries and suspensions. Bristol City. After having them do the double over us last season, I feel some revenge is in order. Jamie Vardy – Boasts a very good goalscoring record in non league. If he can make the step up, he will certainly give opposition defences some concern this season! Ben Marshall – A promising youngster who had a good end to the season last term. With a good eye for goal and a mean set piece on him, I’m sure we can expect to see more of the same this year. Wes Morgan – A typical Pearson-esque ‘no nonsense’ defender. Big, strong and competent on the ball, it’ll take a brave man to get past him! Birmingham. A decent, young manager at the helm, who some say was unfairly dismissed from Huddersfield. Lee Clark will certainly be eager to prove his critics wrong. They’ve made good use of the transfer market so far, bringing in experienced players such as Ambrose and Mullins who are joining an already decent Championship setup. Also, without the added pressure of European football this season, I feel they will be a tough nut to crack. Huddersfield. It’s not uncommon to see teams from League One achieve success in the Championship, Huddersfield will be on a wave of momentum after winning the playoffs last season and will look to emulate the likes of Norwich and Southampton. If they can keep the core of their team from last season, they will certainly surprise a few people this season. Woeful Wolves… ‘The Glass Fox’ is hoping that Wanderers’ defensive troubles are a thing of the past. The defence has been an issue for 5 seasons now but the imminent signing of Vadim Demidov maybe a coupe for the new manager. 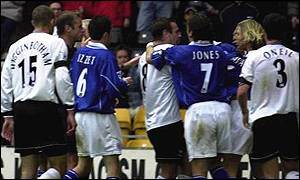 The local derby with Birmingham is always a big game and a positive result against Blues would be a fantastic thing. I think Simon Grayson could take Huddersfield to the playoffs this season, I also think SWFC could have back to back promotions. With Wolves might heart says they will get automatic promotion but my head thinks that the playoffs would be a good achievement for us. 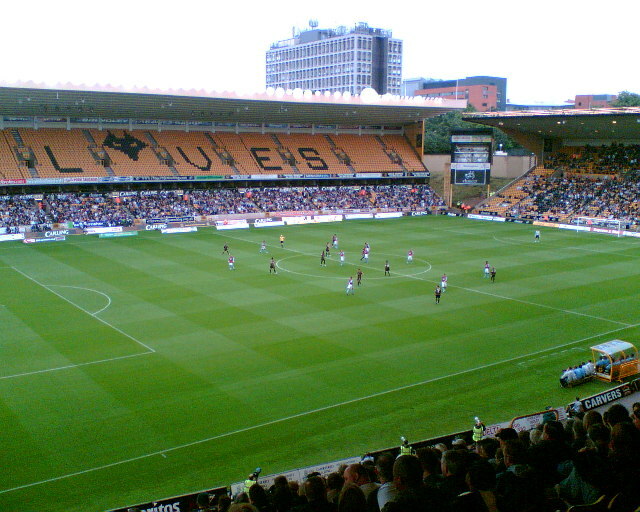 Contenders… Brum are gunning for promotion and regional rivals, Wolves. Expectant… Gollum’s Tangerine army think this is their year. Losing another play-off final or missing out on promotion on the last day for whatever reason. Losing to Bolton (Mate’s team) is also bad. Would love to beat Bolton, Leeds and Burnley. Beating all the Yorkshire teams wouldn’t go down badly really. Incey and Matty Phillips always look good on the wings, Cathcart is still young and improving, our midfield all stand out too. Anyone out of: Us, Bolton, Wolves, Blackburn, Birmingham and Forest. If I had to pick, I’d say Birmingham. Somewhere in-between 2nd and 8th. Depends on how well the likes of Blackburn or Forest do, no-one can weigh them up at the moment. Determined… The Seagulls are desperate to win football’s most illogical rivalry. My greatest hope for the new season? Same as every other Championship fan really, That my team gets promotion to The Premiership. My biggest fear? Losing at home to Palace again! It’s only 2 now after signing Kuszcak in goal. We need a proven Championship goalscorer, and a tough tackling midfielder. Palace!!! It’s important we shut up Da Croydon Massiff this season. I think we will be there or thereabouts, but my tip for The Championship is Blackburn. This seasons “dark Horses” Brighton. Not saying that because I’m a fan. but made some great signings, more to come, you watch us go! Where will Brighton finish? Anywhere in the top 6, but I have a sneaky feeling it will be 2nd. Realists… Dan Finch doesn’t think the Addicks should be aiming for the Premier League just yet. Stay in the league Keep Solly and Keep Jacko on form! Need a goalie or another centre back. Someone Like Maguire from Sheff Utd. I most want to beat Leicester twice I still have a very bitter taste towards them with regards to Pearson . Leeds, dont like Warnock and they are our closest rival in this league. No idea, this league is insane, take your pick from Boro, Wolves, Brum, Leicester, Blackpool, Bolton, Blackburn. Top 6 at least, I want to say top 2 but who knows. An East Midlands club with money? Where have we heard that before? My greatest hope is that we can finally end our poor streak in play offs and get promoted back to where we belong. My biggest fear is that the fans will expect too much and turn on the team after a few bad results. Defence no doubt, currently we only have one defender who started consistently last season. Derby! After losing twice to them last season it makes me want to beat them even more than usual. Dexter Blackstock, Chris Cohen and Chris Gunter. Huddersfield, if they keep Rhodes I am certain that they will be near if not in the play offs. I think we will finish near the play offs but not in them. Play offs or mid table, no need for pressure this year! Biggest fear probably relegation or signing Joey Barton! L**ds, moreso now Warnock is there! I’d like to say Bolton but I’d be wrong! Forest maybe? Controversial! Lost in the shuffle… Burnley are one of few clubs that don’t fancy their chances. Charge… The Rams want to defy the odds and grab a top 6 finish. Same as every season – Florist!!! Our greatest hope for this season is ultimately to stay up and would be in absolute dream land if we managed to get into the play-offs. Our biggest fear has to be getting relegated. 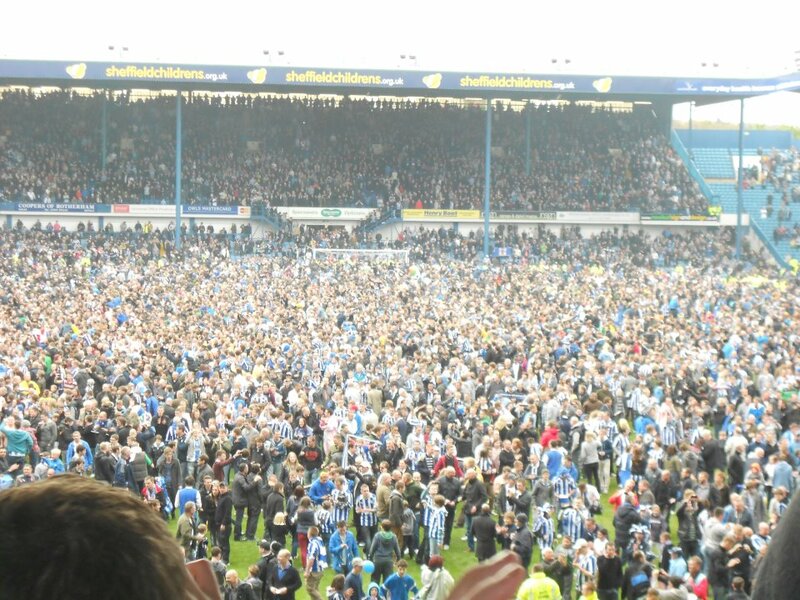 Nobody wants to go down a league especially after waiting 11 years for promotion. #htafc‬ need to strengthen in midfield. Two great signings so far but need one more. Also a forward alongside Rhodes is badly needed. Most fans would say Leeds but I’m not too bothered. A lot of Yorkshire derby’s this year so would be nice to win a few of those. Last seasons top goalscorer in England…Jordan Rhodes. Also Hunt, Scannell, Higginbotham, Norwood, Clayton. We have a very strong squad. Tough question. The league is going to be so tight this year. Too early to say especially with the transfer window still open. I’m going for ourselves. May sound big headed but with a couple of extra signings we can really make our mark on the Championship! Would settle for anywhere above relegation zone. However realistically I believe we will finish around 8th spot. Maybe even play-offs! 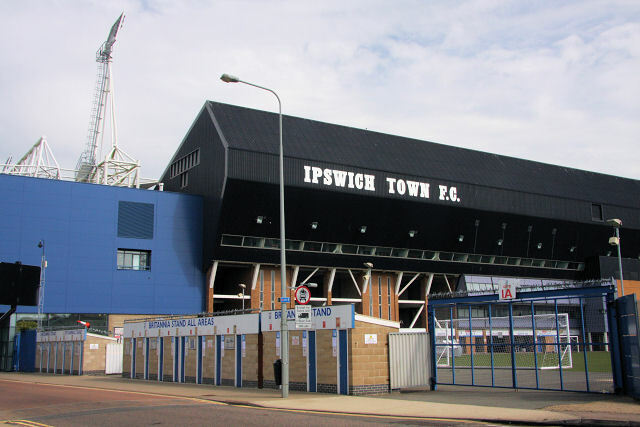 Mainstay… Ipswich have been in the 2nd tier for 10 consecutive seasons. Peterborough.. to get them back for spanking us last season! Bolton, although Brighton are in with a serious shout of finishing as champions! Surprise package… Zola’s hornet army are ready to ambush the league’s big guns. Zola to inspire the team and for Watford to get top 6. I think Blackburn will win the league . Tough one but maybe us..I really think with the right players we could do well. I think mid table if KH works his wonders .. But loosing RVT and Butterfield. I think it will be about surviving this season! Being a small club with no cash… Our biggest fear in injuries and suspensions!! I like to see a big, strong CB come in and a play-maker in CM to fill Butterfield boots. Jim O’Brien.. but us fans would love to see Mido hit top form. Hard question.. I’d say Blackpool..
I’d say Dirty Leeds with Warnock in charge..
Recovery… Melissa Spencer hopes for an improved showing from the Robins. Greatest hope is improving on last season, no-one fancies a relegation battle again, so I’d be happy with top half/midtable. Biggest fear would obviously be going down. we’ve managed to establish ourselves as a Championship club, don’t want to lose it! We need another striker & new centre half primarily, also need a new GK too. We’ve been linked to Buzsaky who is the midfielder we’ve been screaming out for! I want to beat Cardiff & Leeds. Cardiff always have a nack of beating us! My boyfriend is Leeds, and they normally beat us so its about time we beat them! Definitely Albert Adomah. He’s attracted a lot of interest from PL clubs. I’d also recommend looking out for our young winger Yannick Bolasie, not been featured much but when he has, he’s been a gamechanger. Bolton, said it as soon as they went down. They have the facilities, and the players, and the manager. They will bounce back. I’d like to say us – but i think Huddersfield will be. They’ve strengthened significantly, and I think Simon Grayson has what it takes to guide them up there. I think we’ll finish in between 10-17th. The league is so tight this season, anyone can go up or down. The Championship is probably the most competitive league in Europe so it’s anybody’s guess. “No one rates us! We don’t care!”… Lions laugh at talk of relegation. 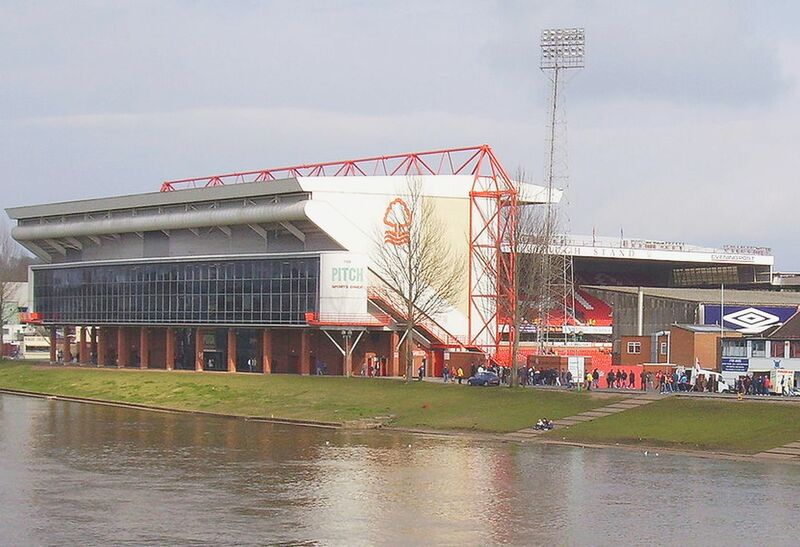 Nottingham Forest (If their new owner is true to his word re transfer budget) If not Blackburn. Fox hunt… Andrew van den Bent-Kelly wants Foxes scalp. I hope we can push on from last season, but the league will be much tougher this year, so the priority has to be staying up again. We’re still in the process of establishing ourselves as a Championship side. I appreciate that the feeling isn’t really mutual, but most Posh fans would love to beat Leicester! One of the most common and coincidentally annoying defence mechanisms in Championship fans’ repetoire is their persistence that they’re a ‘big club’. Whether it’s a Leeds, Derby or Blackpool fan, a high proportion of second tier fanatics will have some sort of superiority complex. So, I took to the pages of Twitter and asked the fans of the Championship what criteria they took in to consideration when deciding upon who deserves ‘big club’ status in 2012. Typically, the most prominent responses were ‘history’ and ‘fanbase’. Secondary suggestions came in the form of most recent league finish and ‘potential’ i.e. their expectancy to achieve within the coming season. Many football fans will be well aware that the room for debate in this subject is colossal so I’ve (attempted to) devised a set of criteria aiming to pinpoint the big guns of today’s second tier. Each team has been ranked in each category – 24 points to the top team and 1 to the worst. As history was such a popular suggestion, points are doubled in that category. Fanbase is measured by both last season’s home and away attendances, thus in effect doubling that category too. Last season’s finish – Bolton Wanderers achieved the best finish of the Championship’s teams last season, finishing 18th in the Premier League. Huddersfield Town are awarded 1 point for finishing 4th and as eventual play-off winners in League One. Going down… Bolton Wanderers were relegated from the Premier League. 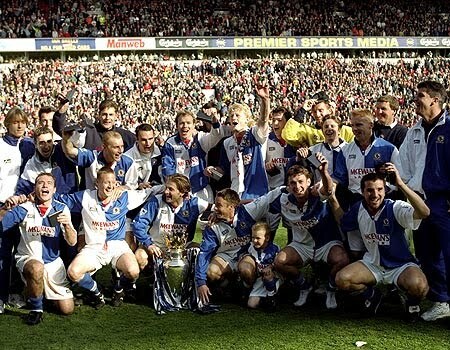 Historic… Blackburn Rovers won the 1994/95 Premier League. Home attendance – Derby County possess the greatest home support in the league (*cough* free tickets *cough*). Whereas, Peterborough are once again last. 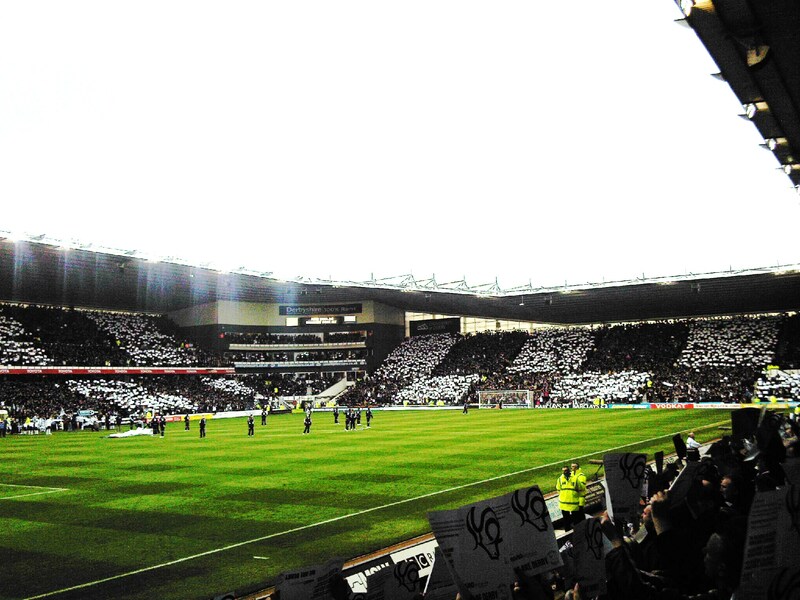 Packed… Derby County were the only club to achieve a sell-out last season. Away attendance – ‘Dirty’ Leeds United are the Championship’s best travellers with Watford at the opposite end of the scale. 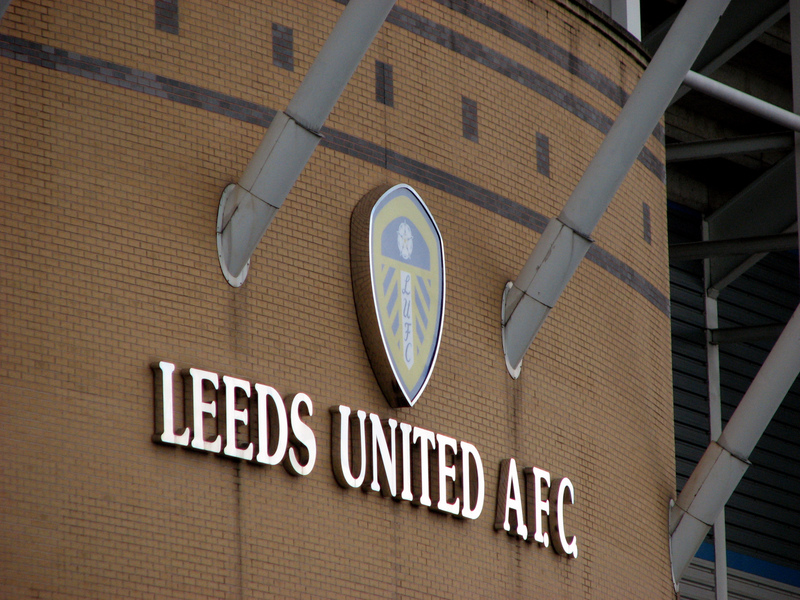 Marching on Together… Leeds away support is far superior. Fox hunt… Leicester are the ‘most likely’ to achieve promotion.